The Jakar Craft Knife Cushion Grip 7376 is an easy grip craft knife with 5 blades. 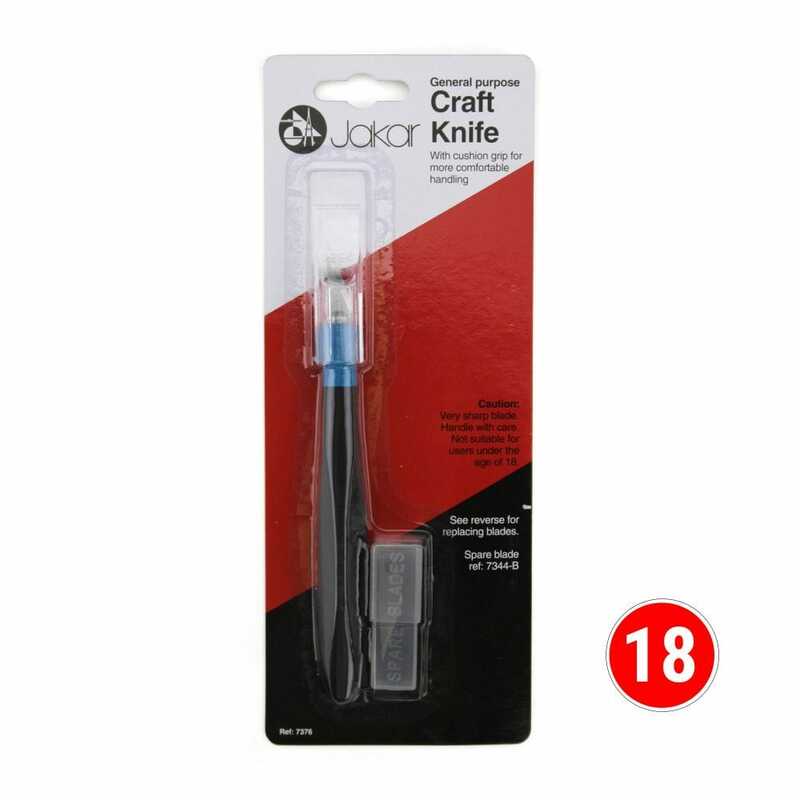 Perfect for office, home or arts and crafts use this Jakar Craft Knife has a fixed blade, cushion grip for comfortable handling and 5 spare blades in a handy, safe, plastic case. Not only does the contoured handle provide comfort, it also increases control, making this ideal for precise arts and crafts use. Spare blade ref: 7344-BNot suitable for users under the age of 18.